Joseph Venables Vernon was my gt gt grandfather on my mother's side. I have been looking for information for many years, and have, in the last three years, been led to answers to many of my questions. When I was a young girl, I found in my mother's Genealogy Book, the family group sheet of Joseph Venables Vernon and Margaret Senior. Their oldest child was Christiana Venables Vernon, born 1830 in Liverpool [see below], England. She was my gt grandmother. Their third child, John Venables Vernon, born 1832, in Hull, Yorkshire [see below], England, had, written in pencil by his name, "disappeared 1854". As I grew up I questioned this but no one could really tell me much about it. Over the years we gathered very little information, but sometime after I was married my mother received some information that he was killed by an Indian out in the area surrounding Vernon, Utah - a little farming town in the west desert of Utah about 36 miles south of Tooele, Utah. The story is that the town was named "Vernon" after him. I had always been told that Gt Gt Grandfather Joseph Venables Vernon [pictured] came to Salt Lake City from England with the Sugar Machinery in 1852, and was to work in establishing the sugar industry here. My understanding is that his wife would not come with him, but he was to come and then return to England. As you know, the sugar industry did not succeed at that time. He was very disappointed, but with that failure in mind decided to return to England. A number of years passed [without him returning to England] and in 1855 he married a second wife, Elizabeth Rececca Tame, and together they headed back to England by way of the west coast and got as far as Hawaii and decided to stay there and never did return to England. They are both buried there, and my husband and I visited their graves in 1987 when we were in Honolulu. My gt grandmother, Christiana Venables Vernon, married John Fewson Smith Sr. in 1863 in Hull, England, and a week later, on May 4, 1863 they left on the boat "Cynosure" and came to America. They travelled across the plains to Salt Lake City as members of the Horton D Haight Ox Train and arrived here October 4, 1863. They lived in Salt Lake the rest of their lives and were the parents of three sons, and one daughter who died in infancy. Their second son, Robert Joseph Vernon Smith was my grandfather. John Fewson Smith Sr. was a civil engineer and was very active in building railroads throughout the western United States and into Mexico. When gt-grandmother, Christiana Venables Vernon Smith, came to Utah, I am certain that part of her purpose was to find out more about her father and brother. I have never given up my desire to find out more about them myself, and two years ago, armed with what little information I had found concerning John Venables Vernon, her brother, my husband and I went out to Clover where we had heard that he was buried, and a miracle happened that day and we found where he is buried and are trying to get a monument placed there for him. In my efforts to find when he came to America, continued research led us to determine that he too worked for the sugar industry in England and came with his father to help establish the industry here. We have found in just the last few months that Joseph Venables Vernon came on the ship, "Niagra", with John Taylor as he came back to America having purchased the sugar refining machinery in England [Liverpool]. That boat docked in Boston. 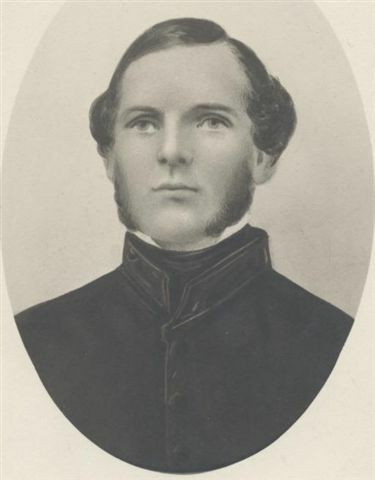 John Venables Vernon, his son, who was listed on the boat record as being 18 years of age, came on the ship "Rockaway" that docked in New Orleans. It brought the machinery which was then brought up the Mississippi River to St Louis, Missouri, where they joined up with John Taylor's party and his father, Joseph Venables Vernon, and they travelled across the plains [1200mls] with the machinery carried in 52 wagons. What an undertaking that must have been! When the sugar industry did not succeed, John Venables Vernon went out to the west desert area and was farming some land there when he was shot by an Indian. My niece found some records this past winter that indicated that John also worked in the sugar industry in England, so we surmise that he came to help his father in the work here. In all the reading I have done I find that the names of "John" and "Joseph" have been used and interchanged in describing both of them, but Joseph Venables Vernon was the father and John Venables Vernon, his son. I hope that this information is of some use to you. Let me know if I can be of any help to you in the future. In 1851, the Vernon family lived in Hull, England, shown by the census of that year. There are thousands of individuals in these valleys, and I may say thousands within this City, men, women, and children, who are constantly minding their own business, living their religion, and are full of joy, from Monday morning until Saturday night. On this account, they do not obtrude themselves and their acts upon the notice of the public, hence, they are known but by few. Probably my beloved brother Vernon, who has spoken to you this morning, is not known by many of this congregation, for since his arrival in our midst he has been quietly and industriously practicing the principles of our religion. For this reason a formal introduction of brother Vernon to the congregation might by some have been deemed necessary, but with me "Mormonism" is, "Out with the truth," and that will answer our purposes, and is all we desire. Brother Vernon came here with Elder Taylor, when he returned from Europe. He is not known except by a few of his associates, who have been laboring with him at the Sugar Works. But, suppose he had been guilty of swearing in the streets, of getting intoxicated, of fighting, and carousing, he would have been a noted character, and there would hardly have been a child but what would, by this time, have known brother Vernon; and the expressions would have been "O, he is the man we saw drunk the other day, the one whom we heard swear and saw fight; the one who was tried before the High Council for disorderly conduct, or reproved before a General Conference for his wickedness." But brother Vernon is almost entirely unknown, because he has lived his religion, kept the commandments of God, and minded his own business. So it is with many in this City, they are known but by few, they live here, year after year, and are scarcely known in the community, because they pay attention to their own business. They live their religion, love the Lord, rejoice continually, are happy all the day long, and satisfied, without making an excitement among the people. This is "Mormonism." I wish we were all so, I should then indeed be very much pleased. I have used the Vernon case study as a gentle introduction to Utah's First Sugar Project. It was a high priority of the leadership of The Church of Jesus Christ of the Latter-day Saints, in the late 1840s, to "build up its industries", and so refining sugar from home-grown beet became one of those priorities. Accounts vary as to the exact nature of the research (in France and England), the procurement (from Fawcett, Preston & Co Ltd, Phoenix Works, Liverpool), and the execution (after false starts, the sugar house was built but the process failed). Those involved included: John Taylor and Philip DeLaMare - research, logistics, finance; Henry Mollenhauer, John Bollwinkle, Ebnor Connor - Liverpool sugar refiners; Joseph Vernon - Liverpool/Hull engineer; Truman O Angell - designed and built the Sugar House; and of course Brigham Young who took final control of the project. Bollwinckle, Connor, John Vernon (18) and John Mollenhauer (13) sailed from Liverpool to New Orleans on the 'Rockaway' in 1852 (probably also Joseph Vernon). "In retrospect it seems that the pioneer effort to produce sugar was a near success. Delays resulted in the loss of the most knowledgeable individuals before the plant actually started operating. The missing know-how, particularly concerning the vacuum pan, could have made the difference. All the necessary equipment was there, but critical knowledge appears to have been lacking." "After reading your 1846 document ["The Manufacture of Sugar"], it looks to me like the Utah factory, as it was set up, would have successfully produced refined sugar from raw cane sugar. Unfortunately they were starting from beets, a rather different proposition." 1. "Report made to the Beet Sugar Society of Philadelphia, on the culture, in France, of the beet root, and manufacture of sugar therefrom...", by James Pedder, 1836. 2. "The Millennial Star magazine - Departures, Arrivals, etc", April 1, 1852, p.105, a publication of the British Mission [Liverpool?]. 3. "History of the Sugar Industry" - Report of General Conference of The Church of Jesus Christ of Latter-day Saints, by Heber J Grant, June, 1919. 4. "Comprehensive History of The Church of Jesus Christ of Latter-day Saints, 1830-1930", by B. H. Roberts, Vol.3, Ch.88, pp.395-402. 5. "The Failure of Utah's First Sugar Factory", by Charles L Schmalz, Utah Historical Quarterly, 1988, vol 56, no 1. We are most grateful to all those who have contributed in any way to this case study.